A stove is among the most important items you’ll be toting as a backpacker, not least because food is going to dominate a lot of your thoughts out on the trail, and because heating water for tea, coffee, and cooking meals are natural linchpin rituals of your wilderness days. And obviously this is a subject matter very close to our heart here at Mountain House. If you’re a beginning backpacker, though, choosing a backpacking stove can seem a bewildering challenge given the number of options. That said, as with any piece of outdoors gear, the process of selecting the best backpacking stove for your needs becomes fairly straightforward if you hash out a few basic details and bear in mind that you can (and probably will) refine or altogether switch up your cooking hardware with more and more experience out in the backcountry. Let’s have a look at the general kinds of backpacking stoves and the sorts of features you want to consider when choosing one! Before digging in, it’s worth sketching out the big-picture considerations to keep in mind when going shopping for backpacking camping stoves. Type of Cooking & Cookware: What sort of backcountry cooking do you like to do? 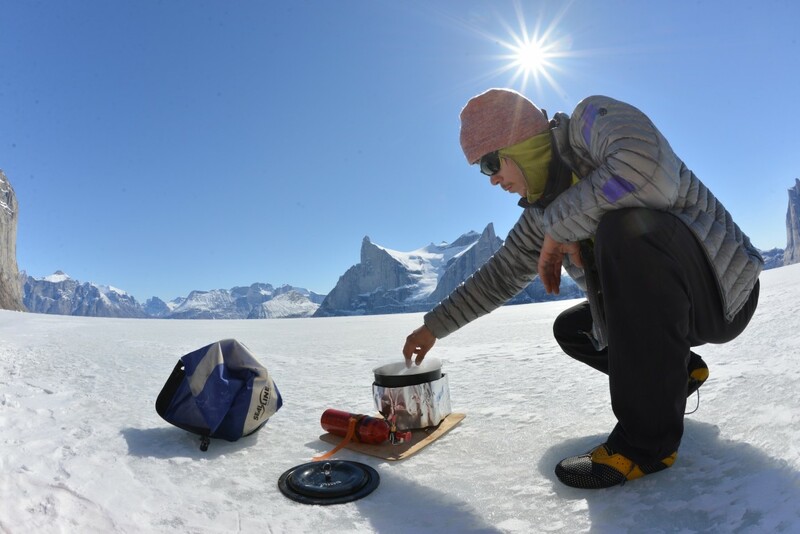 Mountain House meals require nothing more than bringing water to a boil, which expands your backpacking stove options considerably given all models should be able to do this most fundamental of tasks. (And in fact you can make our Mountain House meals with cold water if your situation requires, though you obviously won’t get that “hot meal” experience. Rehydration with cold water takes about twice as long.) If you like indulging in more complicated cooking—say, meals that require longer cooking time or simmering and other temperature finesse—you’ll want to more closely assess a given stove’s relative flame control and fuel efficiency. If you’re using a standalone stove, you also want to make sure it’s compatible with your preferred cookware. Weight: Naturally the weight of a backpacking stove and its associated fuel is an important consideration for a backpacker. Type of Backpacking: As some of the above points suggest, the sort of stove that’s best for you partly depends on the kind of adventures you normally pursue. If you’re mainly a one- or two-night backpacker, you don’t have to worry as much about stove/fuel weight and refueling, whereas those are vital considerations for a long-distance thru-hiker. 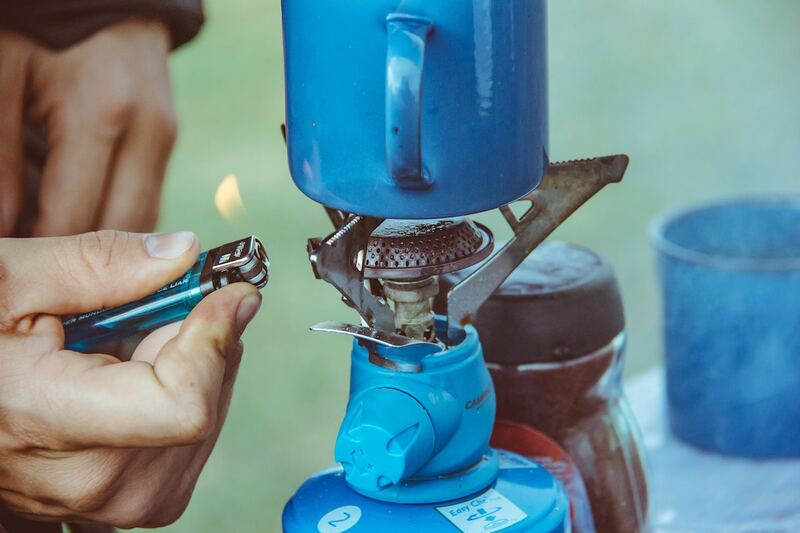 While you’ll find a slew of different makes and models of backpacking stoves on the market, the vast majority fall within a few basic design categories mainly distinguished by the type of fuel they use. Canister Stoves: These backpacking stoves use a pressurized gas mix of either butane and propane or isobutane and propane. The stove simply screws into the top of the one-time-use fuel canister, which serves as its base. Integrated canister stoves comprise an all-in-one burner/pot unit that attaches to the canister. 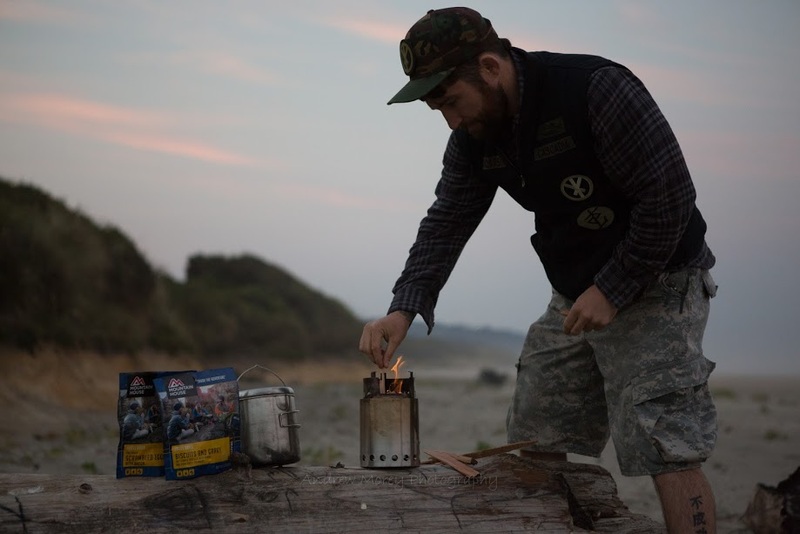 Liquid Fuel Stoves: These backpacking stoves employ a reusable bottle filled with liquid fuel, primarily white gas; “multi-fuel” options can also run on kerosene, diesel, and other liquid fuels. Standard models attach a fuel bottle to the burner with a tube or pipe as fuel line. Liquid fuel stoves usually require priming and pumping to operate. Other Backpacking Stoves: Canister and liquid fuel models are by far the most popular kinds of backpacking stoves, but alternatives definitely exist. Backpacking wood stoves are fueled by twigs and leaves: mini-campfires, basically. Other stoves run off solid fuel pellets or denatured alcohol. Now let’s sift through some of the advantages and disadvantages of these basic species of backpacking stoves. Your average backpacker is likely going to be weighing canister stoves against liquid fuel stoves, the two major categories. Canister stoves with their pressurized gas can be very lightweight and packable and are about as user-friendly and hassle-free as possible: Screw the gas canister to the burner and light it, either with a match or with the push-button igniters commonly incorporated. By comparison, a liquid fuel stove demands periodic pumping to maintain pressure, and you need to prime it as well by burning a bit of liquid fuel initially to pre-heat the system. A liquid fuel bottle is also heavier than a gas canister and with the associated fuel line can take up a bit more space. But canister stoves do have their downsides. They don’t perform as well in cold weather or at high elevations, though isobutane does better in this regard than butane. Liquid fuel stoves work fine in these conditions because you’re manually pressurizing them, so they’re the go-to choice for mountain climbers and winter campers. You can’t accurately gauge how much fuel is left in a canister, so you’ll typically want a backup if yours has been used a few times; liquid fuel bottles allow for precise measurements. And there’s the wasteful element of those one-time-use canisters compared with the refillable liquid fuel bottle, though of course you’ll eventually be disposing of that as well. Finally, given their versatility, multi-fuel stoves may be the preferable route to go if you’re doing much international backpacking. White gas burns hotter than butane/propane or isobutane/propane mixes, but generally speaking both liquid fuel and canister stoves boil water quickly. Many models of both types allow for acute flame control for simmering, though integrated canister stoves generally aren’t great for that purpose. Featherweight denatured alcohol stoves appeal to ultralight and DIY backpackers. Ultralight devotees might also consider wood-burning backpacking stoves: If the environment and conditions allow—namely, an ample supply of dry biomass along your route—you don’t need to carry fuel at all. That said, you’ll be in a bit of trouble if you can’t find dry tinder, and during fire season such stoves may be banned along with campfires; you also need to double-check that collecting twigs and other litter is allowed where you’re backpacking. Solid fuel tablets, meanwhile, also make for lightweight and inexpensive stoves but can leave a sticky mess on the bottom of your cookpot. And all of these alternative-fuel stoves don’t tend to heat water as quickly as canister or liquid fuel units. As we mentioned early in this post, a great benefit of freeze-dried Mountain House meals is the simplicity of their preparation. You need only boil water to prep them, which means backpacking stoves of virtually any fuel type should work fine—though, again, some will get that boil going much faster than others. If you’re planning on doing other types of cooking on occasion—meals requiring more protracted and/or lower-temperature cooking—you need to more carefully weigh a given stove’s temperature control and fuel efficiency. Here’s to enjoying some gourmet deliciousness out in the great outdoors with a good backpacking stove and Mountain House! This entry was posted in Technology and tagged backpacking, camping, gear by Kelli Martinelli. Bookmark the permalink.